Raw, by acclaimed Icelandic cook Solla Eiriksdottir, was first published in 2016, when the concept of raw food was relatively new. 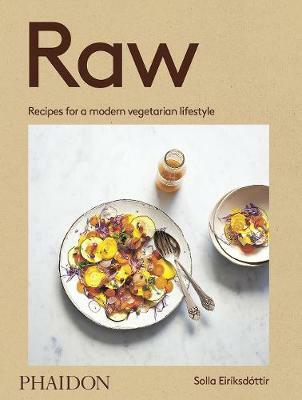 Now a widely accepted route to healthy eating, her book features 75 healthy and delicious mainly raw recipes, introducing readers to an approach to ethical and sustainable eating that has found its way into the everyday diets of people around the world. Divided into five chapters - breakfast, snacks, light lunches, main dishes, and sweet treats - the book abounds with bright, fresh tastes such as turmeric tostadas, quinoa pizza, kelp noodles with tofu, and vegan vanilla ice cream.